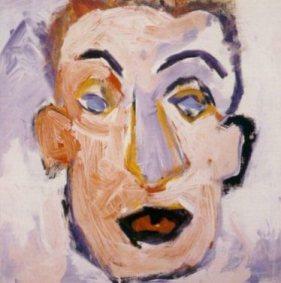 The image shown here is "Self Portrait" by Bob Dylan. It was used for the cover of his 1970 album the same name. See the Pop Life Art celebrity artists list for more than 100 actors, singers, musicians that create fine art paintings, drawings, and photographs.